Mahesh (name changed), a resident of Malleshwaram in Bengaluru, has been watching many cables hanging on a tree near his house, some of them looking as if they are cut. Fed up of seeing them everyday without being able to understand why they exist, Mahesh decided to check the cut cable. To his surprise, the cable was cut at the other end too, and came off easily when he pulled it. People do not want to touch the hanging cables, because they think it could be electric cable and hence dangerous. As nobody checks them, unused cables laid by cable operators or telephone companies dangle on the trees and poles, without being disturbed for years. Why are cables hanging from every tree or pole in Bengaluru, often causing nuisance? Why do cable operators hang them haphazardly and why did BBMP do nothing about it? Well, it is because the BBMP so far did not even have a policy that would regulate the laying of cables, except for laying Optical Fibre Cables (OFCs). There was none to tame the cable operators and majority of them would lay/hang the cables without obtaining license from BBMP. 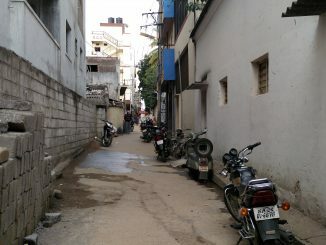 As a result same roads were dug again and again, and telecom, cable and internet operators utilised same lines illegally without paying the prescribed fee to BBMP, which resulted in the loss of potential revenue. In 2013, BBMP had formed a 10-member committee to inspect and estimate the number of illegal cables in the city and ascertain the revenue loss to Palike’s exchequer. According to a The New Indian Express report, the Committee had estimated that 90 per cent of the cables in Bengaluru were illegal. After inspecting various locations, the then Committee Chairman N R Ramesh had said that about 60,000 km stretch was dug up in Bengaluru to lay OFCs, of which at least 55,000 km were illegal. An additional 8,000 km length illegal overhead cables should be removed, he had stated. Now the Urban Development Department has issued a draft policy to regulate optic fibres and all other cables in public places. The draft policy – the Karnataka Municipal Corporations (Regulation of cable laying) Rules, 2015 was published on January 14th, 2016. The month’s time for public and stakeholders to submit objections and suggestions is now over. It is mandatory to obtain licenses for laying / mandating cables within the areas of corporation. Fixed time frame for the completion of infrastructure work. No inconvenience can be caused to the public in the process of carrying out the operations. Proposed route, number of poles, dimension of the poles, distance between two poles and the minimum ground clearance required for the cable will need to be spelt out in the proposals. There can be no communication cables on electrical poles. Ecosystem and aesthetics of the area should be taken into consideration wherever possible while laying cables. The rules will be applicable even for laying underground cables. The dug roads should be restored to original condition by the party. The competent authority could revoke the license if the licensee is not executing the work in the scheduled time. License to lay overhead cables will be restricted. Overhead cables are permitted only in exceptional cases, as otherwise it tends to interfere with the overhead electricity distribution systems apart from spoiling the beauty of the city. The sag of the cable should not interfere with the movement of vehicles. The applicant should earmark a pre-defined route alignment along the internal road circulation network, so as to avoid the repeated digging. The license is granted for a specific period, maximum for five years. Processing fee, Right of use or Right of way charges and annual rent is levied on the cable operator. Penalty will be levied on those who lay or install cables without license and contravenes any provisions of these rules. The fine can be upto Rs 1,000 for violating the rules and Rs 300 for every day in case of continuing contravention. Sharing of cable networks is not allowed if there is no license to do so. It will be interesting to see how the cable policy in its final form will be, given the money and burden involved in laying cables, and how the industry will react to it. Posted below is the draft policy. Karnataka has come up with a proposal for new common zoning rules across Karnataka. A citizen explains what is wrong with it. 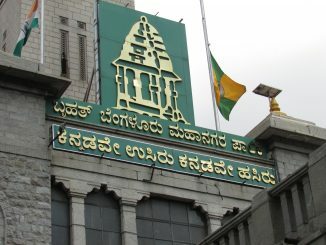 Though BJP won majority in BBMP council, Congress-JDS coalition has won the Mayor’s election, because all people’s representatives from Bengaluru area are allowed to vote in mayoral elections.